We all know by now that 2108 has been quite the year for the mirrorless marketplace, as Nikon, Canon and Panasonic impressed us with the full-frame systems. Oddly enough, it was the pioneer of mirrorless cameras that left us with nothing new to see: Olympus. Even though Olympus participated at Photokina, it only for presenting the Olympus PEN E-PL 9 back in spring. Even though it’s a popular and reliable 16MP camera, it’s still not the one that we’re all expecting. By now, we can only agree that Olympus does take its time until the next release. What are the latest rumors on the Olympus OM-D E-M1X? The latest camera rumors talk about the fact the Olympus is preparing to play a number on us and only present the next model in 2019. 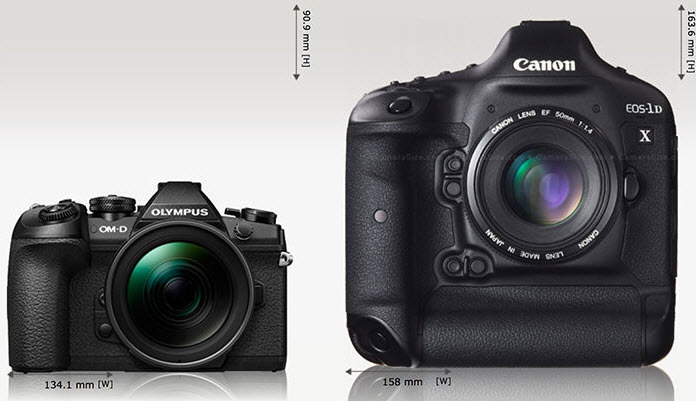 Probably, it’s going to be named the Olympus O M-D E M1X. There’s some truth in this rumor as Olympus has already registered a new camera (the codename is “IM010”) and we’re all expecting for a bit event next year. In case you don’t know, Olympus is going to hit the 100th milestone in 2109. What features are we expecting on the new model? One thing we know so far is that Olympus isn’t going to get into the full-frame mirrorless market just yet. They truly believe that the mirrorless photography is in the books, but it’s not the only full frame that is going to exist. Taking a look at Panasonic, which didn’t do well in the full-frame market, we really understand the position of people at Olympus. It’s only for the better, as it’s going to help them stand out from the competitors. Enough with the small talk, we’re pretty confident that the new Olympus OM-D E-M1X is going to features the biggest Micro Four Third sensor. What about the MFT sensor? The Olympus OM-DE-M1 Mark II has the largest m43 sensor at the moment, but it was released in 2016. Having said that, how much resolution is the new Olympus going to achieve? We’re hoping that the new model is going to feature a 22MP sensor which is only going to provide impressive pixel boost among all the current m43 cameras. This particular feature is also going to put the new system in the same megapixel range as the APS-C format. Are we expecting “Apple-style” menus? No matter how much you like an Olympus camera, there’s one pet peeve that we can all agree on: Olympus’ menu system is nothing but easy. Even if you’re familiar with all the terms of cameras menus, most of us out there are going to get frustrated (and lost) trying to identify basic functions (LCD brightness, stabilization options or dial direction). The touch interface doesn’t ease up the things at all and you’re still going to use the directional pad to go through the menu. Truth be told, Olympus did try to make the menus a lot easier to access with the E-M10 Mark II and the E-PL9, which come with streamlined menus, grouping options and graphic for the features. Another thing we’re expecting from the new model is the ease of operation with a more intuitive menu. Let’s not forget that Olympus did hire developers for smartphone apps in order to redesign the interface so we can all hope it was for a good cause. Should we expect Dual Native ISO? Even though the size of the sensor matters, it’s the sensitivity that counts a lot more. We’re expecting for the new model to come with a 21MP sensor and not a 22MP. As low light performance is something that Olympus has been working on, we sure expect an improvement on the next model. Is the phase-detect autofocus going to be upgraded? In terms of autofocus performance, there’s no one better than Canon’s Dual Pixel AF. Micro Four Thirds has been behind in the AF for quite some time now. The better autofocus and tracking is something we all expect on the new model. After two years of hardware and software improvements, one can only hope that the Olympus OM-D E-M1X is going to present better autofocus function. Truth be told, the Olympus OM-DE-M1 Mark II did quite a number on us as it’s able of 60fps RAW shooting and blistering speed. After two years of work, we can only expect a better speed. We’re also expecting for the Pro Capture feature to be bigger and better. This is going to capture 35 frame before you depress the shutter entirely and all the frames you shoot afterwards so that you’re not missing the critical moment. A larger buffer is going to allow the new camera to shoot even more pre-press frames. A bigger processor is also going to help you finish your shooting. 6K video with Log- can one hope? 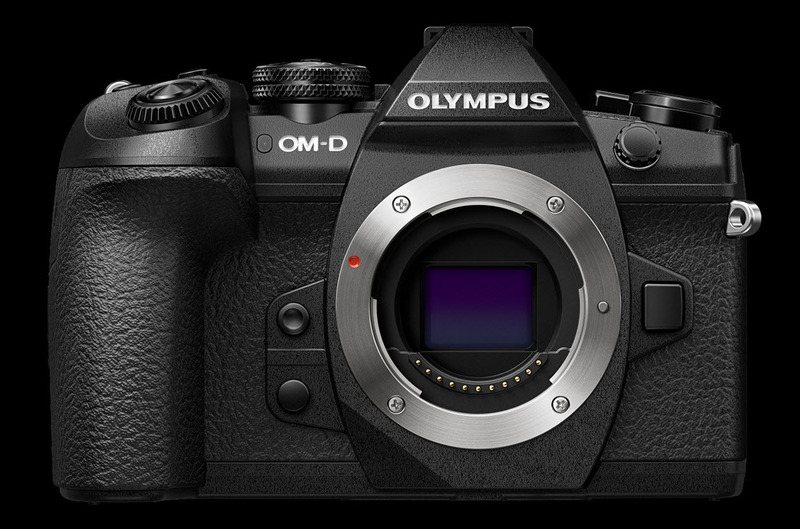 We know for sure that the Olympus OM-D E-M1X is going to features 4K video. It’s no news for anyone that Olympus has been the “stills” side of Micro Four Thirds so this is why we’re expecting for the new model to step up the game with a 6K function. Olympus stands out from the crowd with a great in-body image stabilization (IBIS) and that’s only because of the five-axis technology. We can only hope at the moment for a six-axis image stabilization, but Olympus is already compensating for the six stops of camera shake. We expect for the new model to come with the most advanced IBIS that was ever used on a camera. It’s really obvious by now that Olympus makes an effort for developing the line of Pro lenses that Sync IS technology. Once the handshaking is improved, we may look at a seven stops of reduced camera shake. The better AF and the larger sensor are going to turn the camera into a great option for many. We think that Olympus is trying really hard to create a great advantage in the Micro Four Thirds sensors category. It seems that the camera is going to be larger than expected, with a pro-grade and pro-scale body. The full weather sealing and the two SD card slots and chances are that both slots are going to be UHS-II compatible. How pricey is it going to be? When can we expect it on the market? We’re expecting the date of release to be 12th October 2019, when the 100th birthday is going to happen. it’s possible for the OM-D E-M1X to be officially presented at Photokina in May. As for the price, be ready to have a generous budget when shopping. If the E-M1 Mark launched at $1,999.99 back in 2016, we can only assume to pay over $2,000 for the E-M1X.